Remember the hunger you had on other diets? Restricted amounts of food and never feeling satisfied with what you ate? Low carb is the exact opposite. On low carb, you’ll eat less without feeling hungry. Eating high amounts of healthy fats and being in ketosis are the two main reasons low carbers can eat less without feeling hungry later. Low carb is low hunger. High fat foods are so filling most low carbers don’t tend to overeat. Counting calories isn’t usually necessary. Just stick to healthy fats. Low carb dieters have a different, ketogenic metabolism. Being in ketosis (using fat for energy) dramatically stops hunger, helping low carbers stay on their diet. Reaching the state of ketosis has many benefits. The motivating part is that while we are in ketosis, this weight loss is fat loss. Here’s a guide to enter ketosis quickly. Eating the healthiest high fat low carb food prevents hunger. You’ll lose more stored body fat, too. A low carb diet means you are consuming a lot of fat along with protein. This combination produces a ‘satiating’ effect after meals. High fat low carb meals help you feel satisfied and fuller for a longer period of time. A direct effect of longer-lasting fullness is a natural tendency to eat fewer calories overall. And when we restrict calories, we lose more weight. It’s pretty simple really. It all comes down to the same thing: insulin. To be more precise, it’s a chemical disorder called hyperinsulinism. It’s due largely to the sugar and simple carbs we consume. We weren’t intended to eat the sugary and highly refined foods in stores today. Carby meals cause increased tiredness. Sugary carbs cause hunger soon after eating. Ever notice right after a meal with high carbs, like a big bowl of pasta, you feel tired immediately after? One hour later, do you find yourself snacking again? This cycle repeats itself over and over on carb-heavy diets. A ketogenic diet is extra high in fats. When you feed the body fat, it feels satisfied. Almost instantly. Fats are more nutritionally dense than carbs, take longer to digest and provide a longer-lasting, fuller-feeling effect. What exactly should you eat to enter ketosis? 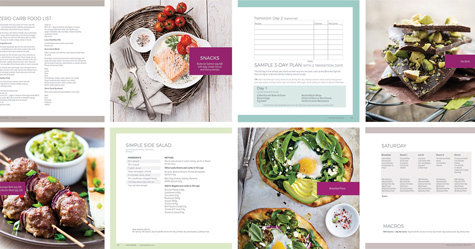 Begin by following our Ketosis Mini-Meal Plan. 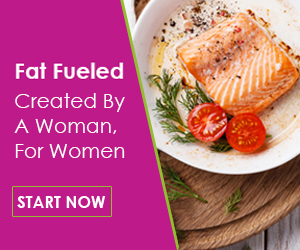 Then try some high fat recipes perfect for keto. Think about it…. rich fatty foods to satisfy your cravings. The best part about this unique decrease in hunger, and subsequent decrease in calories, is the motivating effect it has. It is much easier to stick to your low carb diet when you feel full. It’s much easier to enjoy life when you’re not hungry on your low carb diet. It’s satisfying to eat the high fat foods you crave.